Unless you’re job calls for it, no one really carries a whistle around every day. But everyone carries a USB device. Then again, you’ll never know when you’ll get into trouble and your whistle might just might be the thing you need to get the attention of people around you. That, I think, is the most practical use of the PNY Whistle Attaché Flash Drive. With the emerging USB and storage technologies here and there, it is difficult for companies to come up with new innovations and factors that would set their product apart from the rest. PNY Technologies Inc., a worldwide forerunner in USB drives and storage solutions, takes a step ahead by introducing the most recent product in their Attaché line, the Whistle Attaché Flash Drive. PNY Whistle Attaché Flash Drive offers the latest in design and innovation by merging a functional whistle and a USB drive into a single device in the form of the new Whistle Attaché Flash Drive. The target market for the device includes children, women, and sport enthusiasts; it has succeeded in passing the RoHS test for non-toxic concerns, ensuring safety during its usage and making it more ideal for its target users. The PNY Whistle Attaché Flash Drive brings more convenience in terms of portability and on-the-go transfer of documents and other data, while adding a fun and creative look to it. 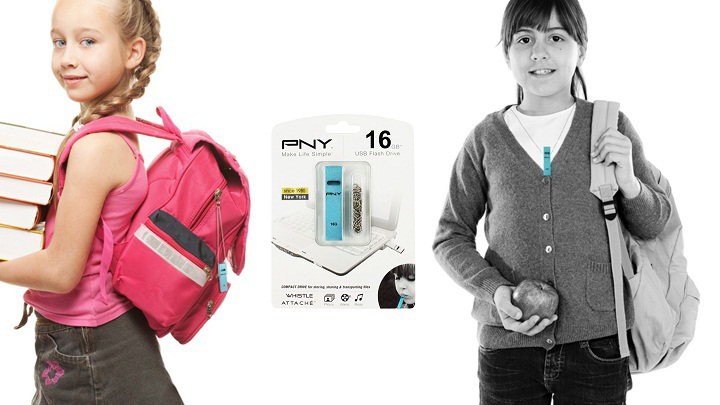 The Whistle Attaché drive takes portability and adds the sense of security a whistle provides, perfect for children who take projects and safety back and forth to school. The Whistle Attaché Flash Drive comes in slim and lightweight with a total weight of merely 3.4 grams and is fully clad in metallic cover made out of aluminum alloy. The smooth and fine surface of the drive allows easier grip and shelters the device for possible exterior damage. Additional damage protection measures include the water and shock resistant capabilities of the device, ensuring longer and damage-free performance. The device can also function as a fashionable accessory as it comes attached to a beautiful beaded chain allowing it to be worn around the neck. Ranging from 4GB to 32 GB storage capacities, this USB flash drive provides customers with wide storage options. The 8GB version can reach up to 8MB/sec write and 24MB/sec read speed, whereas the 16GB and 32 GB versions can reach up to 10MB/sec write and 32MB/sec read speed. Also, it offers compatibility for all versions of Windows, including Windows 2000, Windows XP, Windows Vista and Windows 7. Mac OS: 10.3 and above are also compatible with the Whistle Attaché Flash Drive. The fresh technology that is the PNY Whistle Attaché Flash Drive offers a compact and convenient design featuring a capless design and is available in 4GB, 8GB, 16GB and 32 GB storage space for the affordable prices of $8, $13, $24 and $45 respectively. In addition, it guarantees a warranty of 5 years from date of purchase. Overall, the Whistle Attaché Flash Drive delivers the basic functions expected from a reliable USB drive but it may not be the best USB drive option in terms of its specifications and performance. However, the attractive packaging, creative design, and reasonable price makes the Whistle Attaché Flash Drive a smart and tech savvy device that can be perfect for gifting purposes and also to be kept as a novelty item. Do you think the Whistle Attaché USB is worth buying? Let us know what you think! PNY Transformer Attaché – Michael Bay’s Favorite Digital Storage Device? 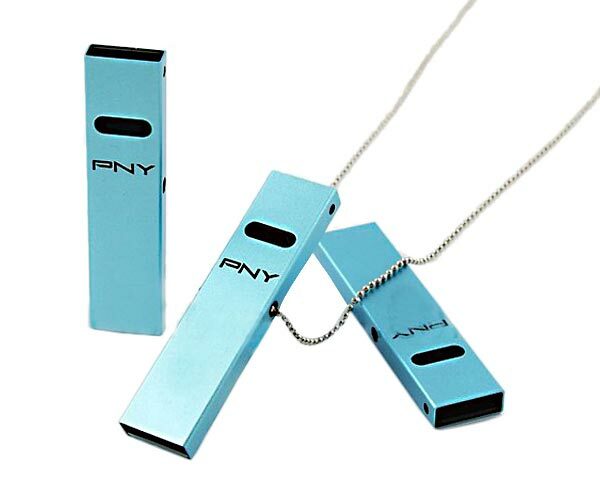 This entry was posted in Articles, PNY, Transformer Attaché USB, USB Devices, USB Flash Drives and tagged PNY Technologies Inc, PNY Whistle Attaché Flash Drive, PNY Whistle Attaché USB Drive, PNY Whistle USB, USB device, Whistle Attaché Flash Drive. Bookmark the permalink.